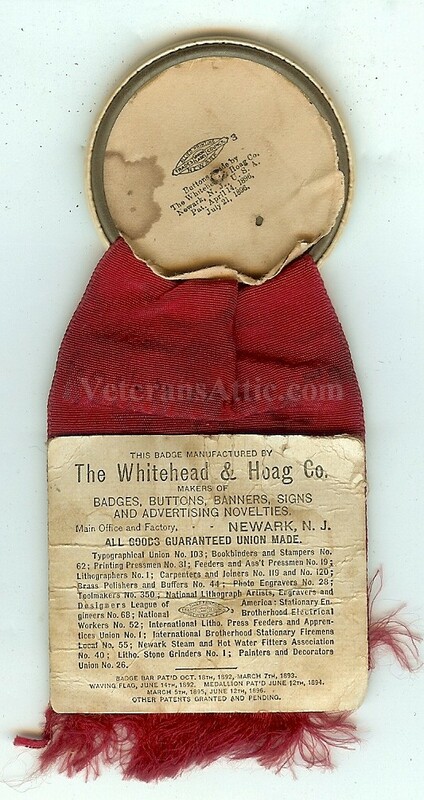 A great badge worn by Confederate veterans at the 1905 United Confederate Veterans reunion held in Little Rock, Arkansas. This was a Arkansas state Confederate veterans reunion. The hanger is a celluloid button with a Confederate battle flag on it. Around the flag is "UCV & 1861 - 1865". A red ribbon is attached to the hanger. Written on the ribbon is "State Reunion - U.C.V. - Little Rock, ARK. - November, 1905".